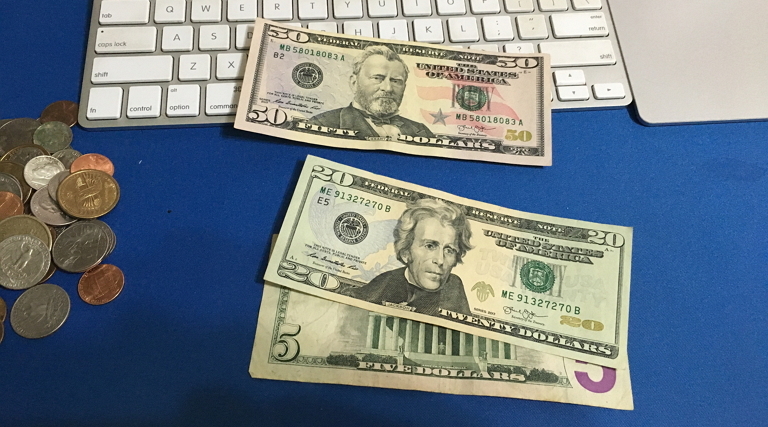 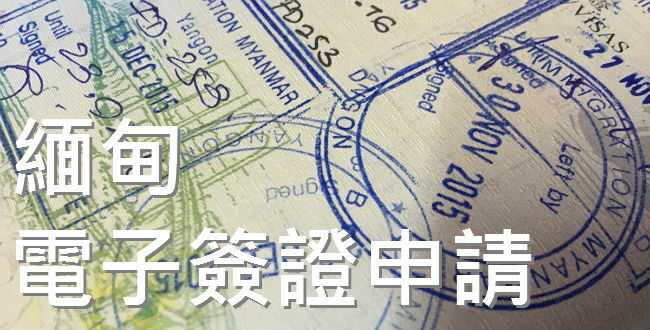 我在付款時想再 check多次資料，按前一頁檢查後，再用信用卡付款，成功到translation successful的頁面，時也收到銀行短信說已紀錄交易。之後check mail 卻收到”Please reply” 的email，而已過左4個多小時都沒收到付款確認，現在正苦惱中…. 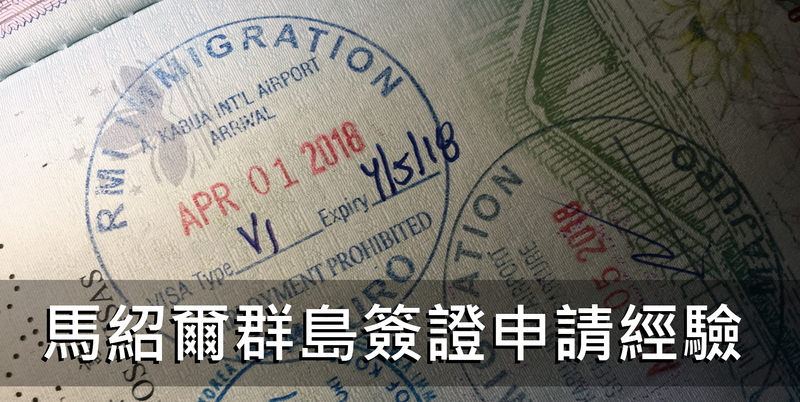 你好! 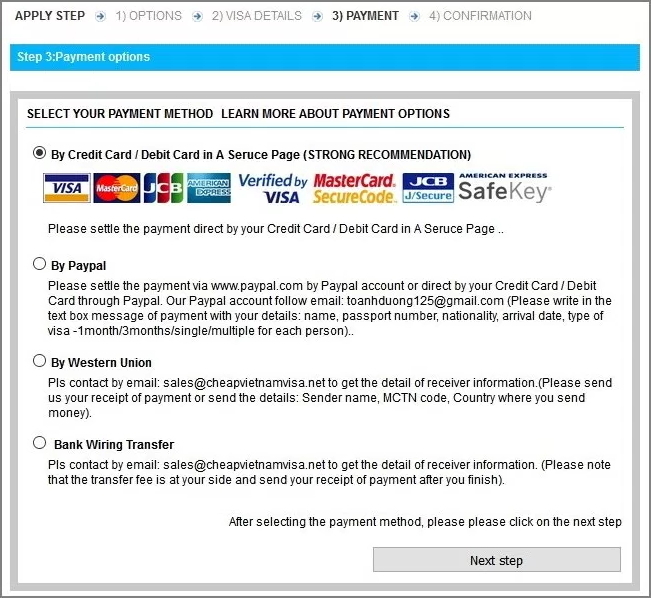 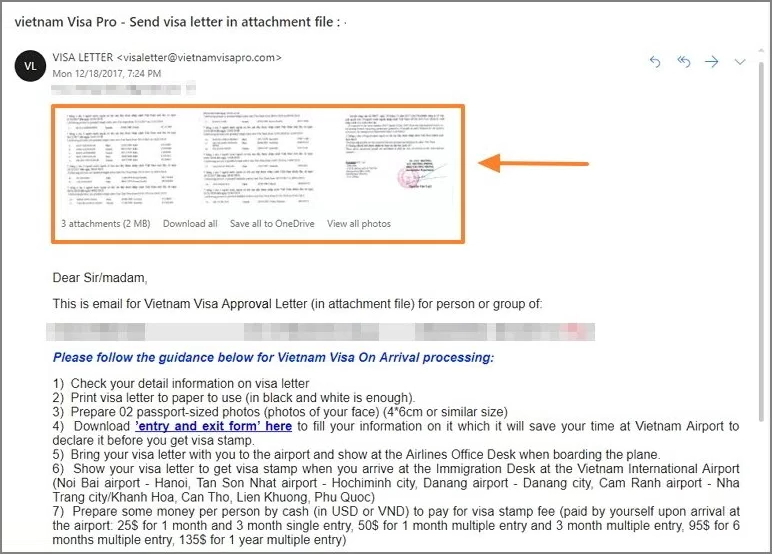 想問一下申請後收到 “Please reply” 的email, 先代表付款不成功嗎? 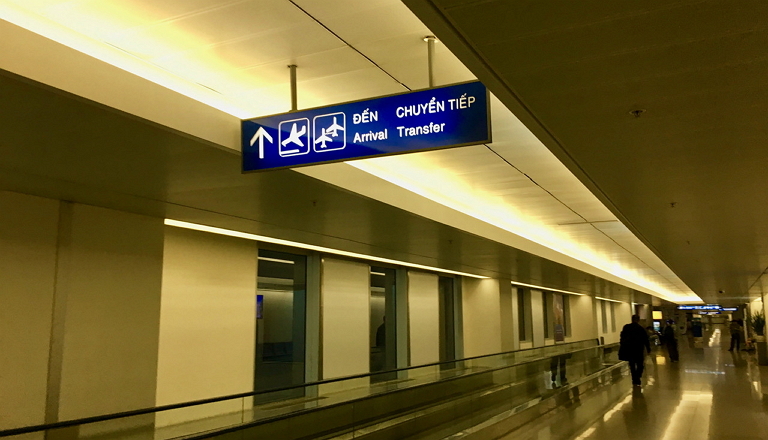 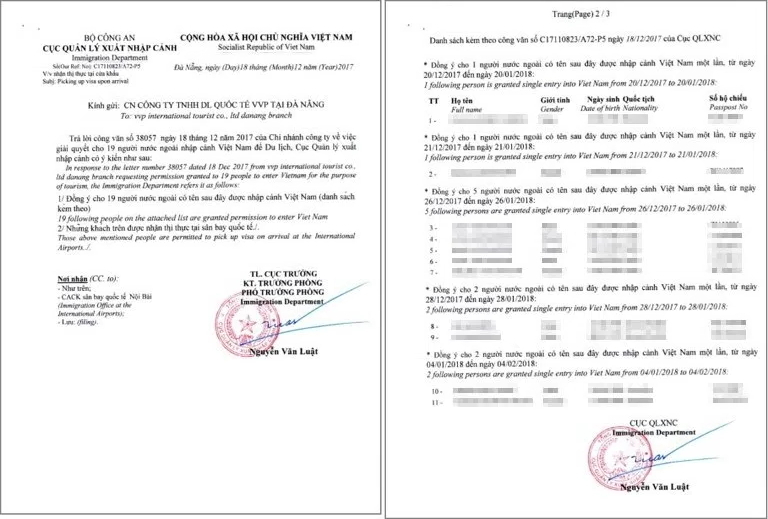 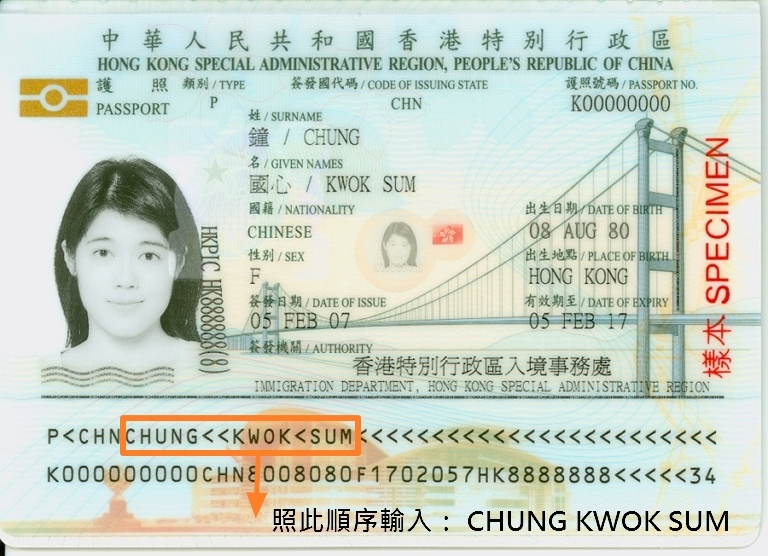 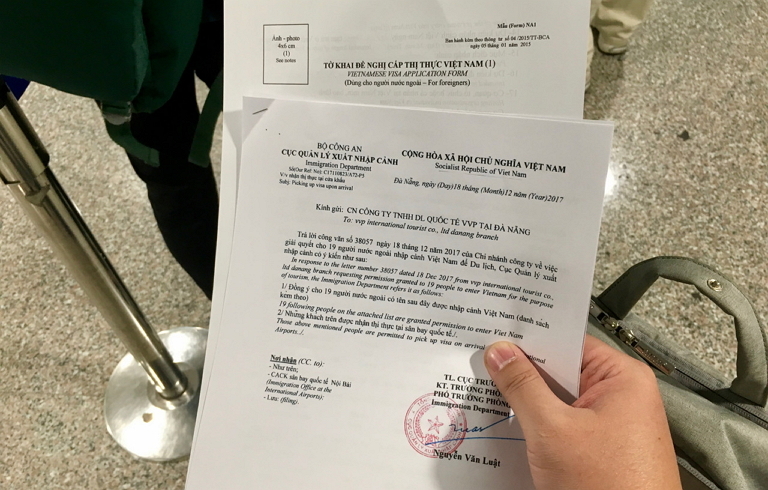 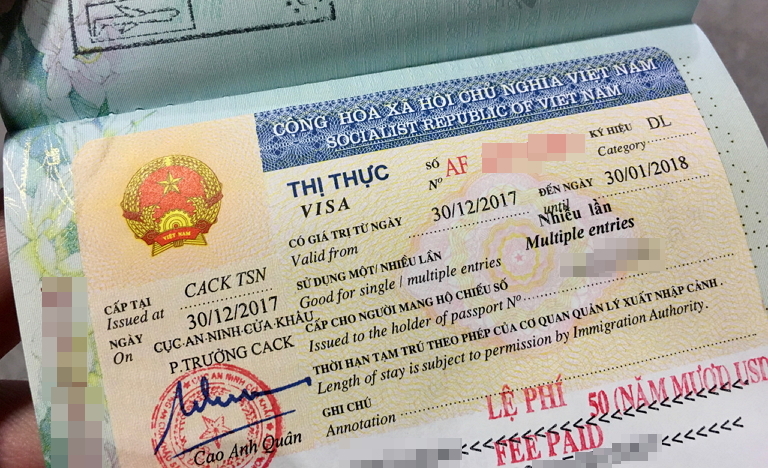 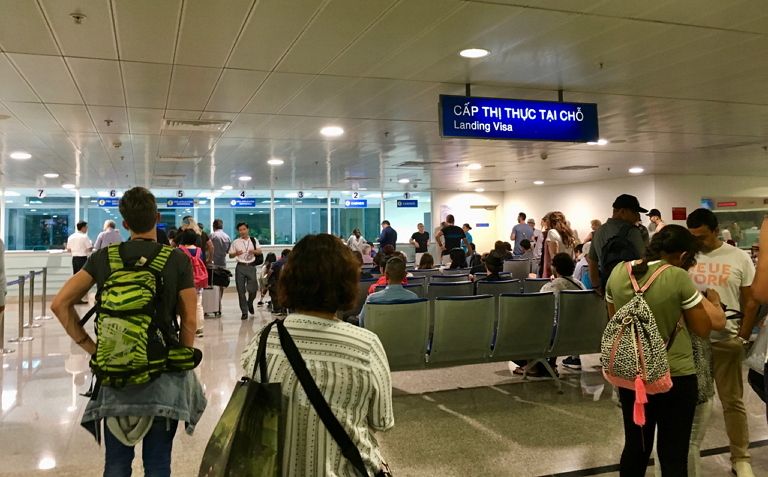 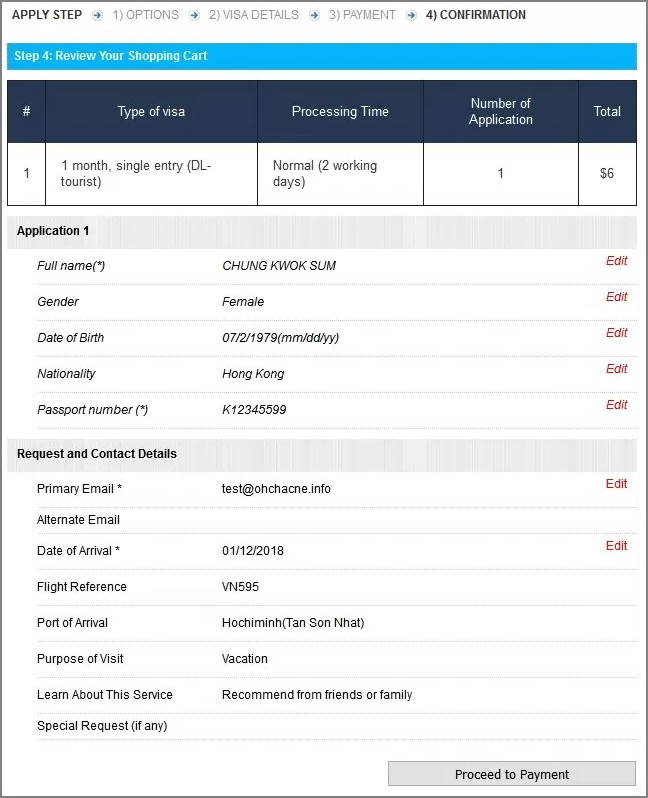 We confirm that all person with Macau nationality will be changed to China nationality following the rule of Vietnam Immigration Dept from now (15/08/2018). 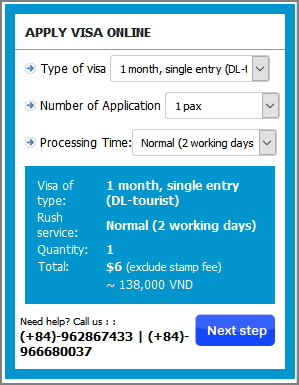 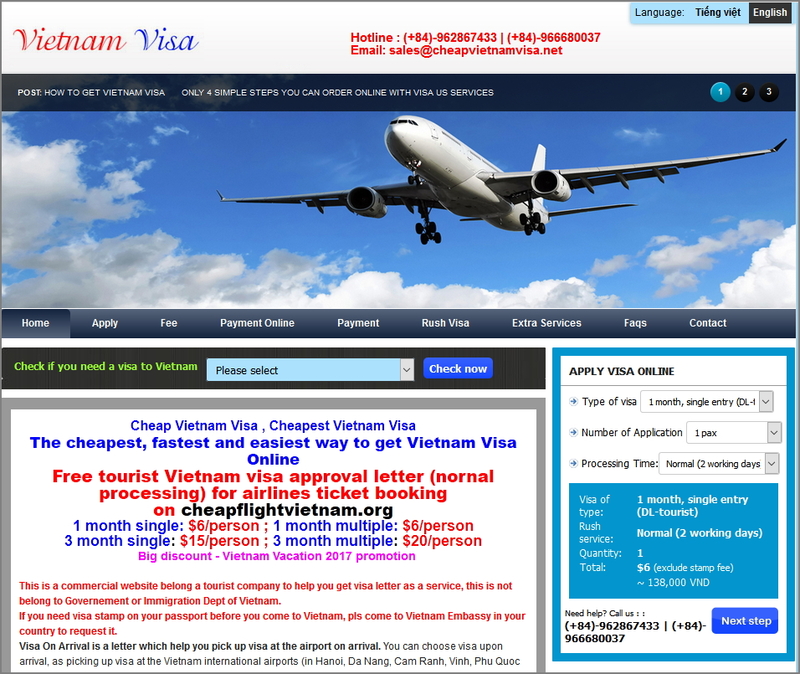 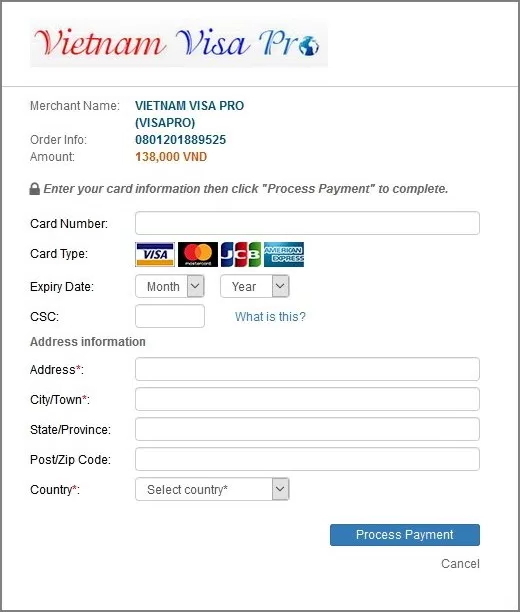 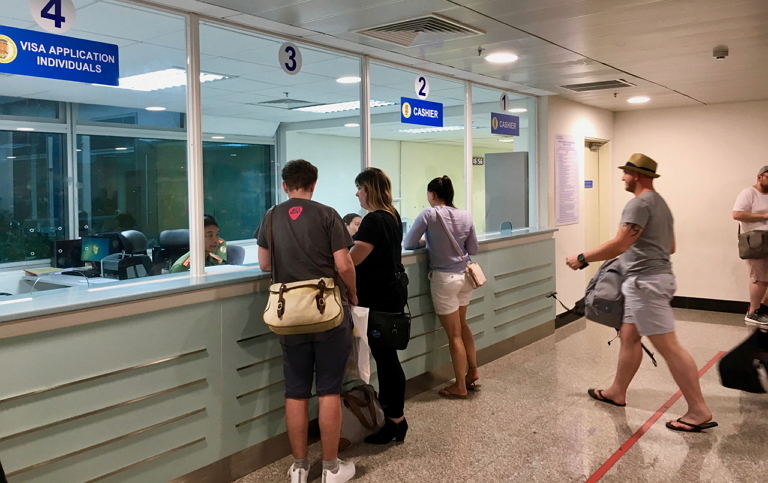 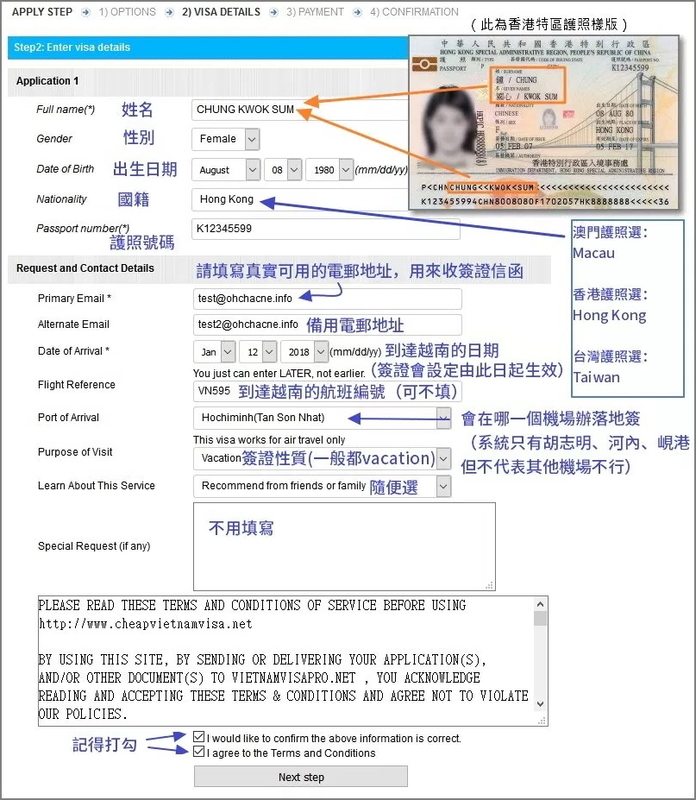 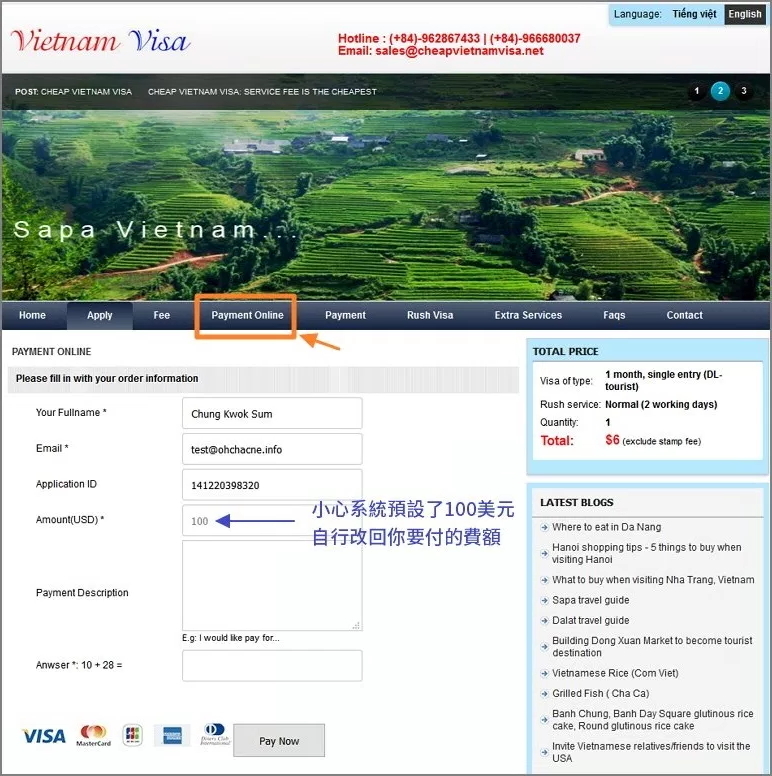 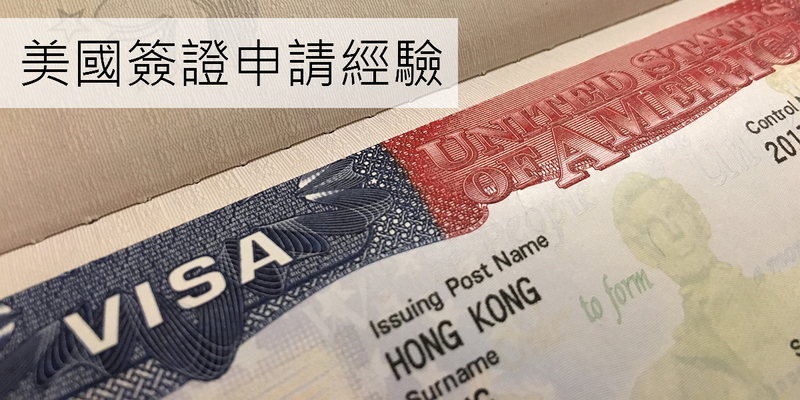 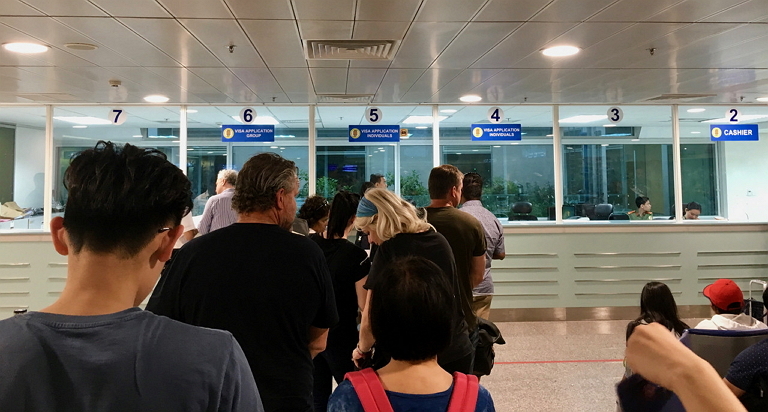 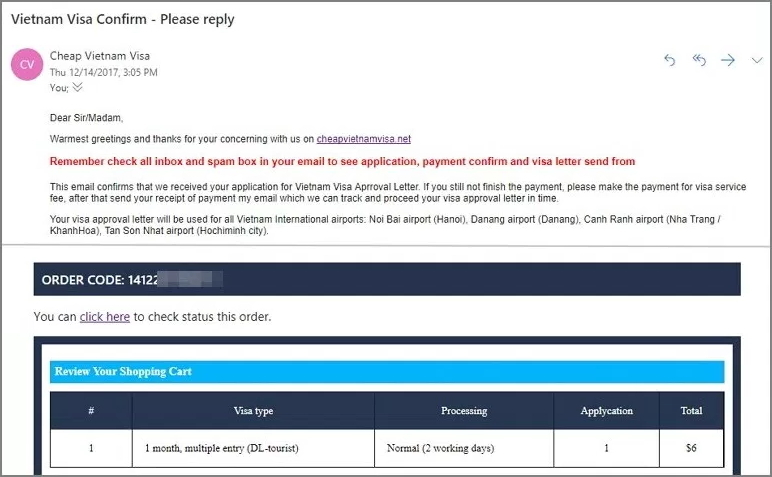 因為我在填個人資料時的“date of arrival ”填了24/5/2018 ，但是收到visa letter卻是顯示…from 25/5/2018 to 25/6/2018.